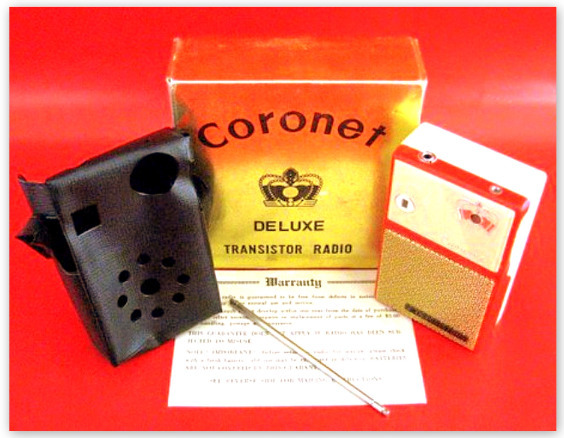 This Coronet 2 Transistor is the quintessential boys’ radio. 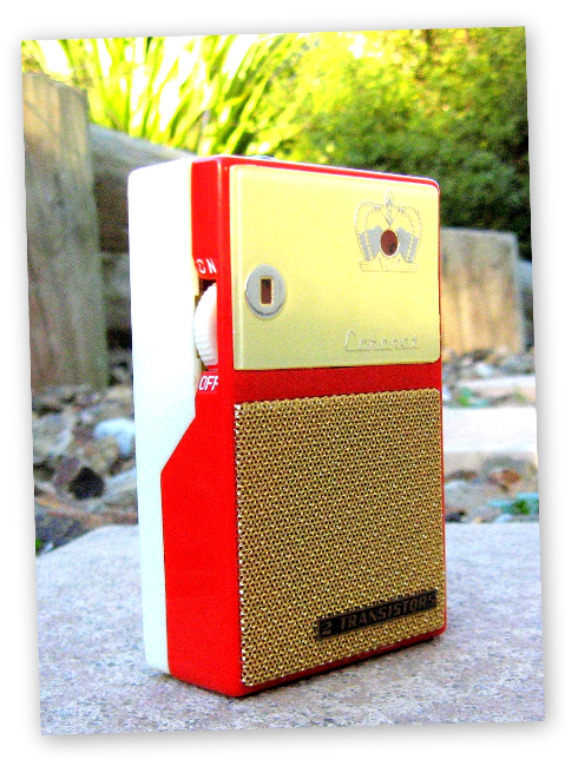 It was manufactured in Japan by Sakura Denki Kogyo circa 1959/60 and is probably the most commonly found boys’ radio. These radios came in a variety of colors and styles with some having textured metal speaker grills, plain metal grills, plastic grills, cloisonné badges, no badges, under-painted escutcheons, metal escutcheons etc. 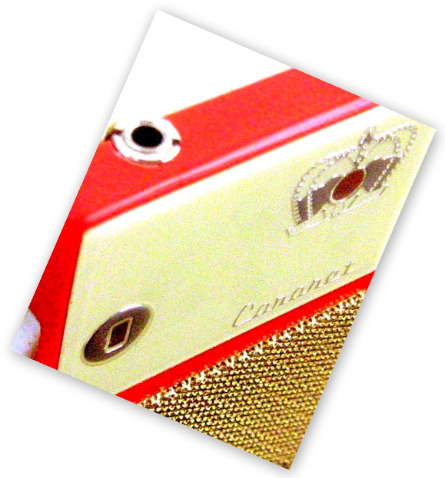 The same basic cabinet for this Coronet was used on many boys’ radios and these can be found branded as Windsor, King, Queen, Lloyds, Hi Delity, Royal Tone, Top Flight, Montclair and others. 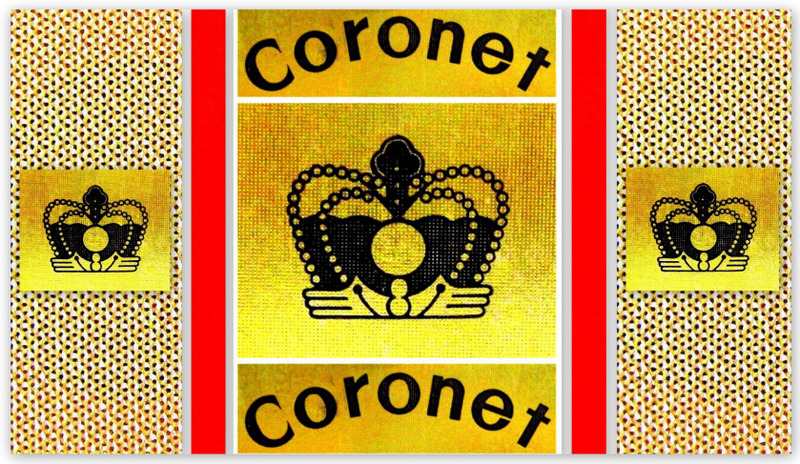 Some even carry branding for both a Windsor and a Coronet at the same time! 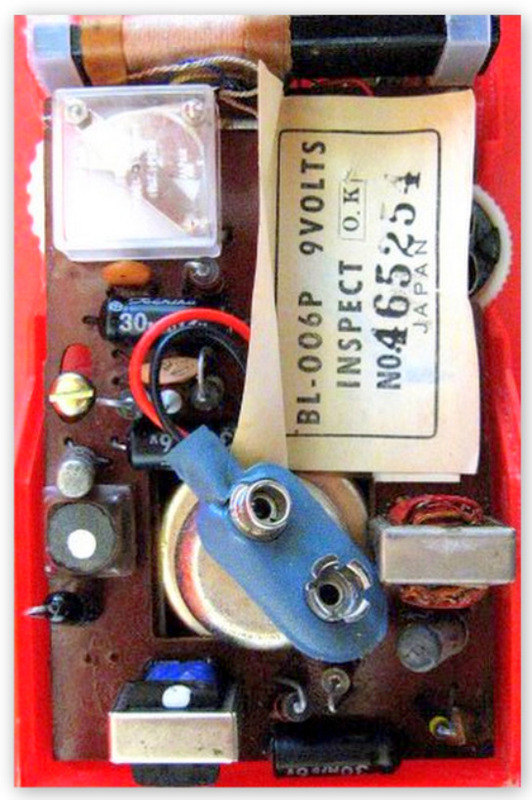 One of the great mysteries surrounding Boys Radios was who manufactured them. Collector Michael Jack has gone some way towards solving this mystery by acquiring sales documents in the name of Sakura Denki Kogyo, the manufacturer of this particular radio. 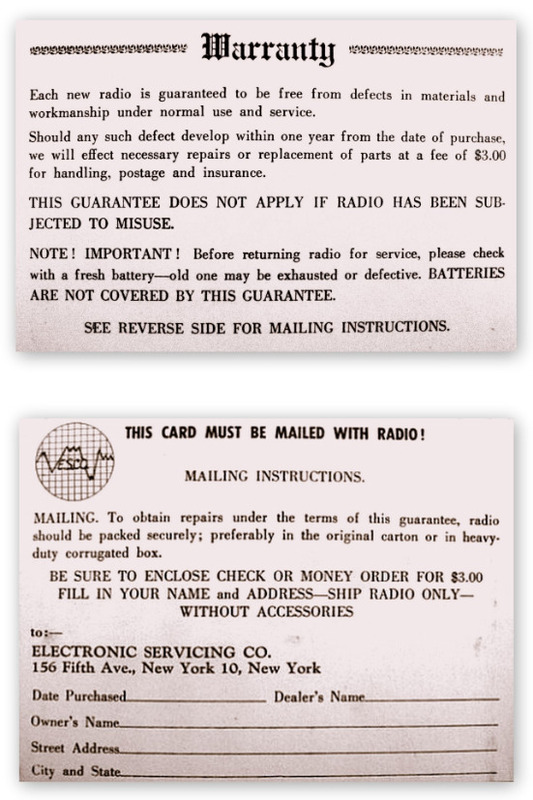 In 1961 Sakura Denki Kogyo was offering buyers the opportunity to purchase quantities of Coronet radios in excess of 10000 units for $2.75 ea. Given these sales figues and given that the basic cabinet for this radio was used on many boys radios I would cautiously say that Sakura Denki Kogyo was a major player in the manufacture of this type of radio. Sakura Denki Kogyo was located in Tokyo. Click on the link to Michaels site. Toys, toys, toys for boys! This Coronet features a large under-painted face with a silver crown framing the tuning dial. It has a two tone red and white plastic cabinet and textured gold speaker grill. It also features a black and gold cloisonné badge that proudly proclaims ‘2 Transistors’. On the back ‘BOYS RADIO’ is stamped in capitals. Interestingly this radio is not stamped ‘Japan’ anywhere on the cabinet however it does have an inspection sticker inside stamped Japan. 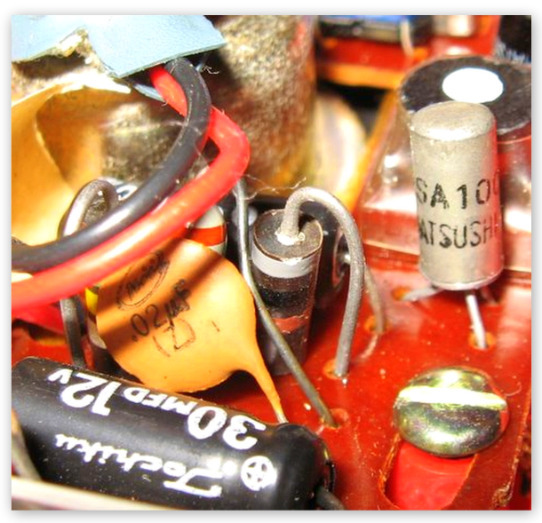 In the 1950’s and 1960’s the USA required foreign electronics to be stamped with their country of origin. Japanese manufacturers were aware of the negative stigma associated with their products in the USA. Many tried to disguise the fact they were made in Japan by stamping it on the back in the smallest allowable font, making it almost unreadable. They were often caught out and their products turned away! A few illegal aliens like this one must have slipped across the border. Often these boys’ radios are found beat up. After all they were purchased as gifts for children. This one is a real treasure! Its fun to think of it being purchased at a sale on a cold winters evening, happy shoppers scurrying back and forth hunting for the latest bargains from the far east. I can picture it being unwrapped on Christmas day by an overly excited teen as Mum, Dad and the siblings look on. Imagine receiving your first transistor radio in 1960, climbing into your tree house and listening to the latest offering from Elvis or Chubby Checker! 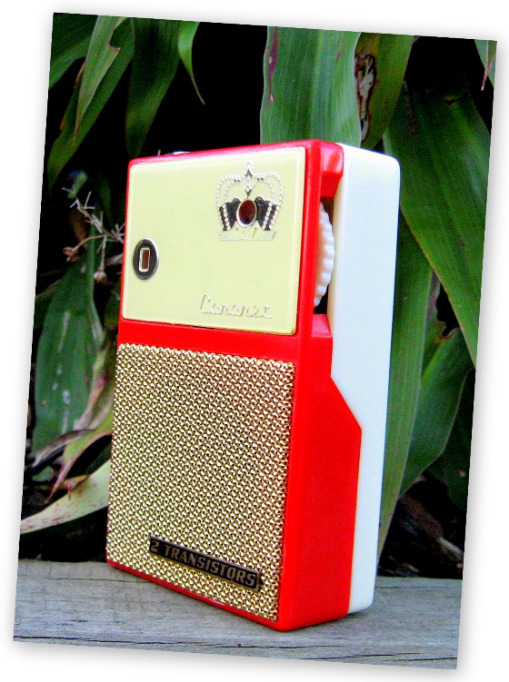 I wonder if the original owner remembers the joy of receiving this beautiful little red and white radio…. 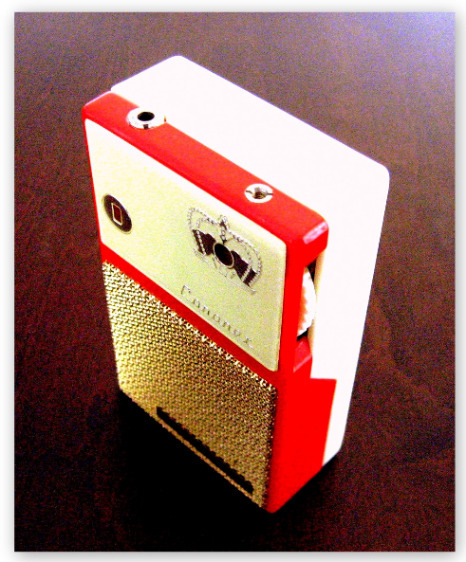 ALL-TRANSISTOR RADIO AT THIS LOW PRICE! 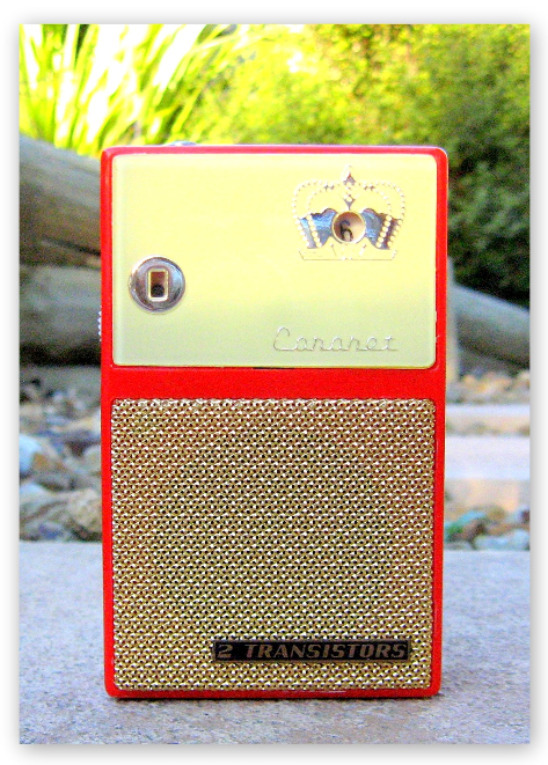 All transistor radio with self contained speaker. Telescoping antenna for added pulling power. Smartly styled in high impact plastic in two-tone colors with rich gold-tone grill. Boston Store, Toys, Downtown, Bay Shore, Point Loomis. 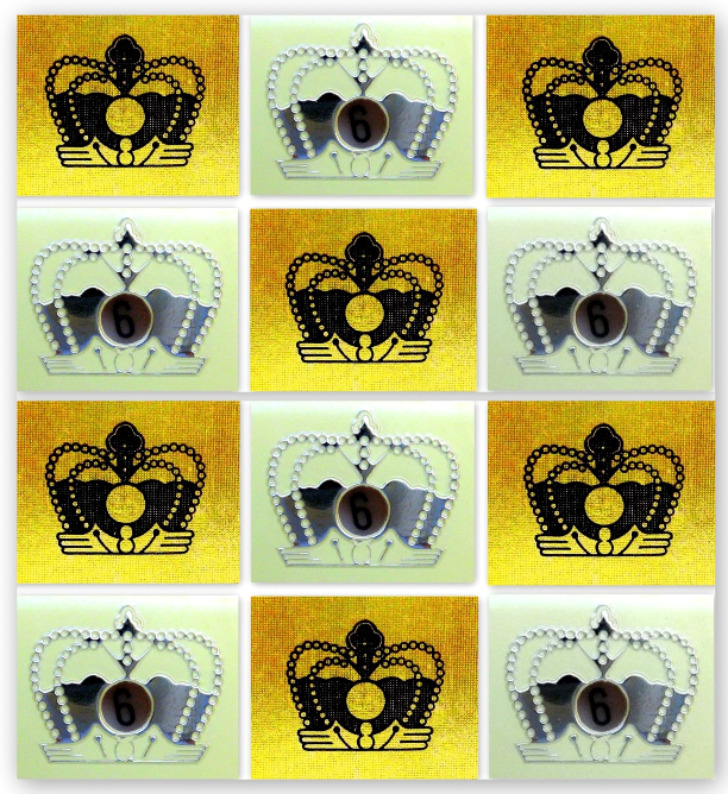 This Coronet comes with a fantastic looking gold gift box. Inside the box is an extendable aerial, Warranty Card and black vinyl case. 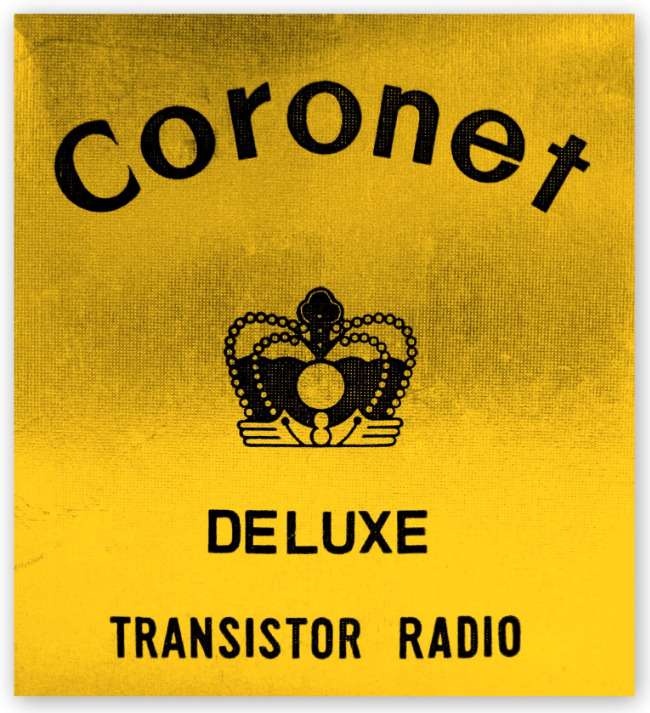 This Coronet boys’ radio uses two Matsushita transistors. 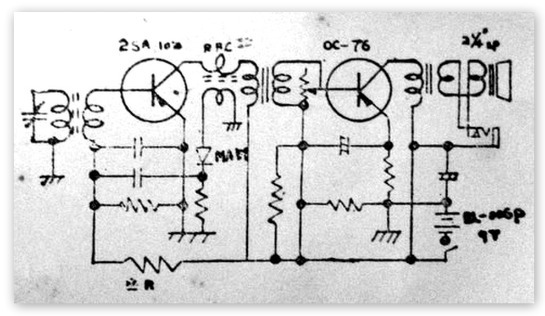 It has a rather small schematic diagram inside.